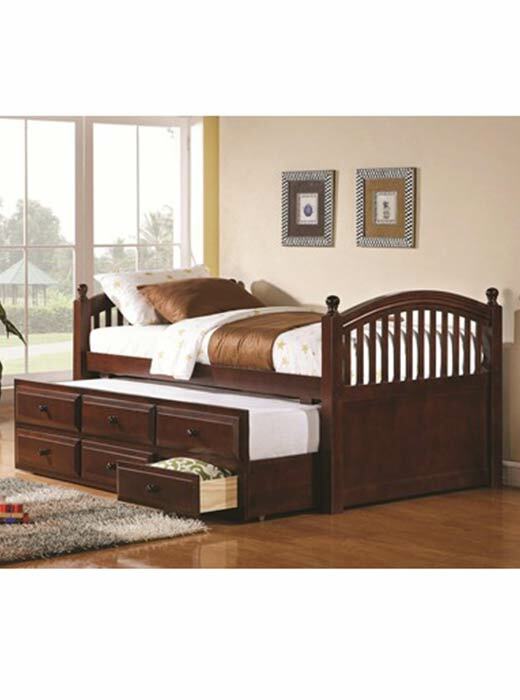 This twin size day bed is a multi-functional piece that offers a comfortable place to lounge, read, and great sleeping spot by night. Plenty of storage space to stow away. 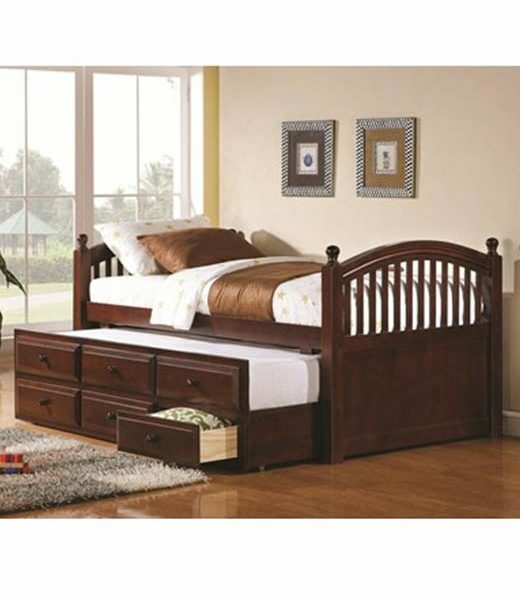 This twin size day bed is a multi-functional piece that will offer a comfortable place to lounge and read, a great sleeping spot by night, and plenty of storage space for stowing away clutter and keeping any bedroom organized and tidy. Three spacious storage drawers below the trundle unit- perfect for sleepovers or overnight guests!- provide an ample amount of space for clothing and extra linens. Turned finials, slat detailing, and a warm cherry wood finish complete the inviting feeling of this transitional-style piece that will blend perfectly with your design preferences and any home decor.